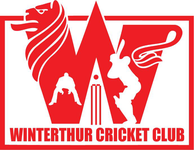 Winterthur Cricket Club's captain Mohamed Sameel, has organised a pre-season fitness session at Deutweg on Sunday 3rd March 2019. Taking advantage of the mild weather conditions Mohamed has proposed players meet up at Deutweg to go for a run and doing some physical activity at the ground to loosen up. No need to register, just turn up at the cricket nets before 1.30pm and join in!